Two sisters enjoy a snow day in their own unique ways. The first sister’s story presents itself on the left panel of each spread, and the second sister’s story unfolds on the right. In this uniquely structured book, both sisters’ stories are told with the exact same words, only in opposite order. 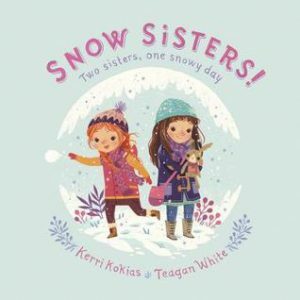 Kerri Kokias has created a multilayered story using deceptively simple text, with the story truly being revealed in Teagan White’s sweetly detailed illustrations. Author Kerri Kokias lives in Seattle. For Bub, it’s not easy being the middle child in his little monster family—especially such a noisy and busy one: Maw and Paw can be very loud, his big sister Bernice is good at everything, and everyone has to pay attention to The Baby. No one has time for Bub. But the day comes when Bub decides to take charge, and suddenly things change in a very magical little monster way in this whimsically sweet and quirky picture book from the author of Henny and Peddles. 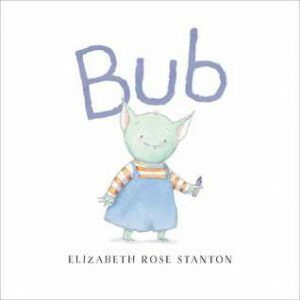 Author/illustrator Elizabeth Rose Stanton lives in Seattle.